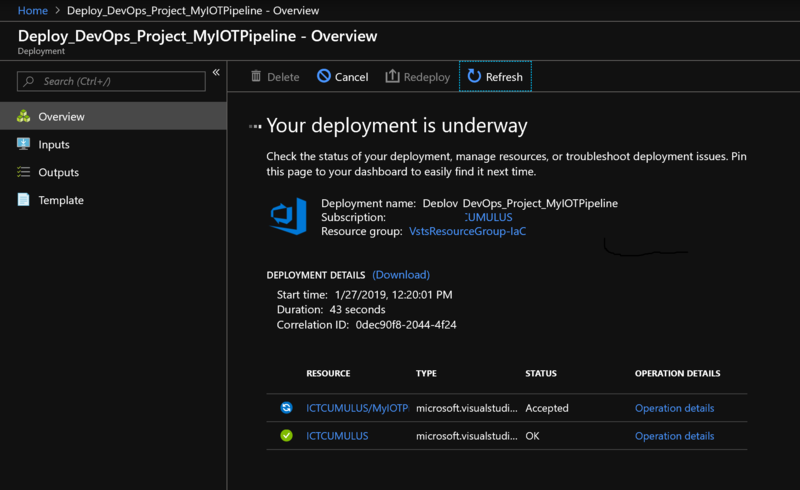 Configure continuous integration (CI) and continuous delivery (CD) for your IoT Edge application with DevOps Projects. 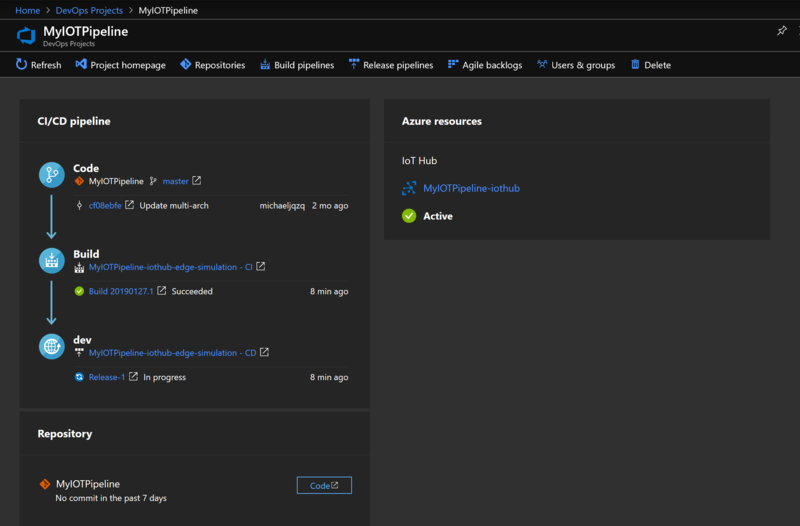 DevOps Projects simplifies the initial configuration of a build and release pipeline in Azure Pipelines. 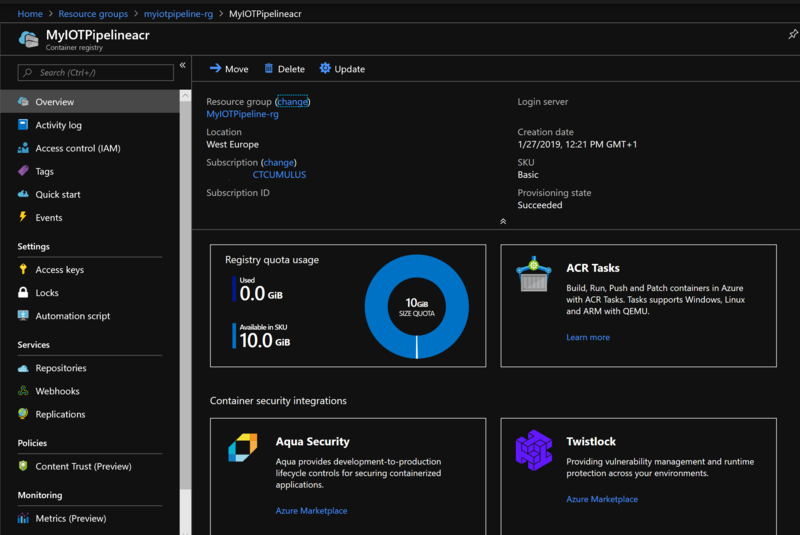 Azure Container Registry allows you to store images for all types of container deployments including DC/OS, Docker Swarm, Kubernetes, and Azure services such as App Service, Batch, Service Fabric, and others. Your DevOps team can manage the configuration of apps isolated from the configuration of the hosting environment. 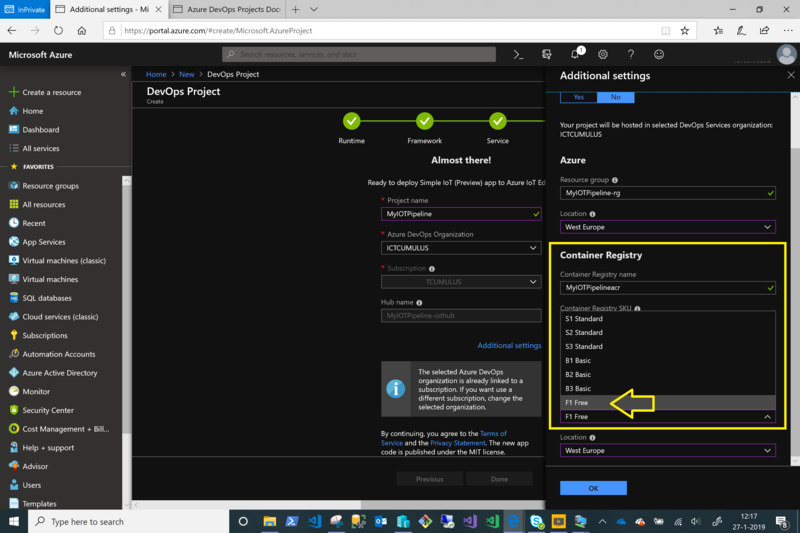 Azure DevOps Project will do the rest of the deployment. Of course Infrastructure as Code (IaC) is possible by ARM JSON Template. Save the template for later. here you got your ARM Templates. 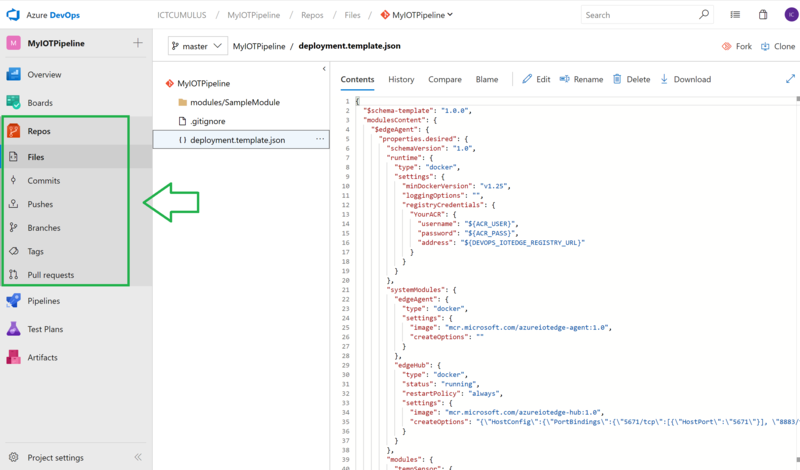 Later you will see when you complete the deployment, that your JSON ARM template is in Azure DevOps Repo. 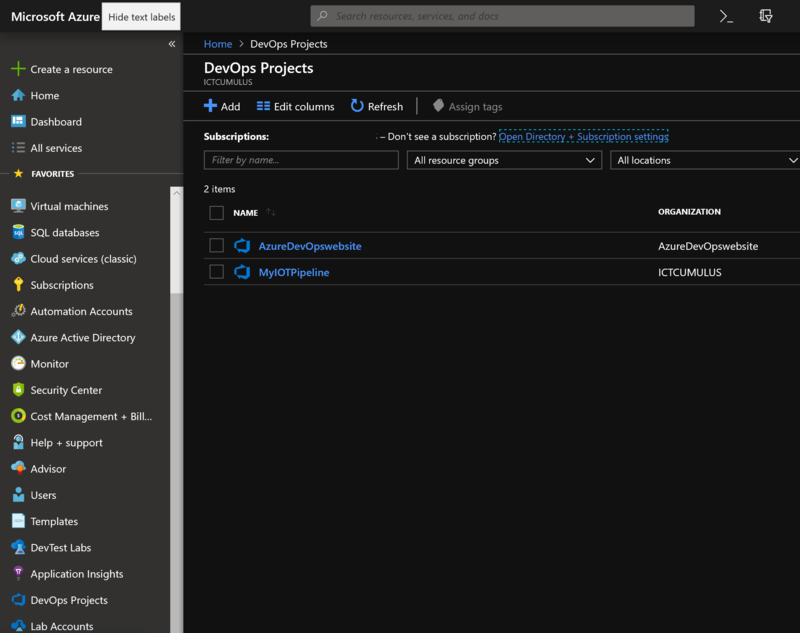 You can connect your Azure DevOps Repo via the portal but also via Visual Studio and Visual Studio Code. 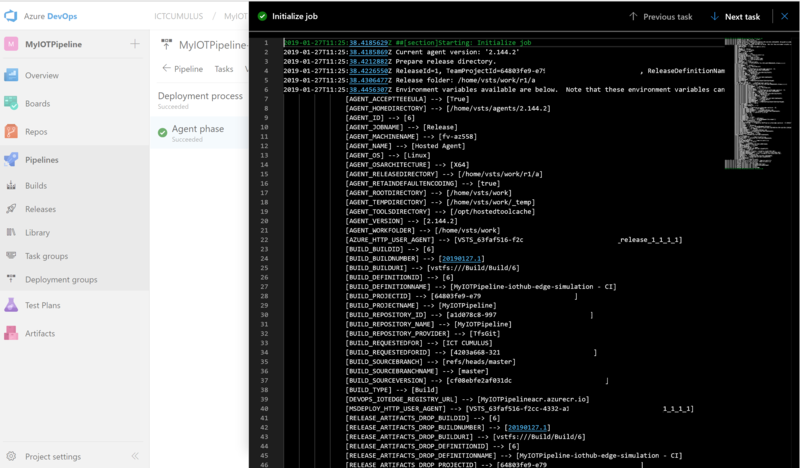 MyIOTPipelineACR Container Registry is created. 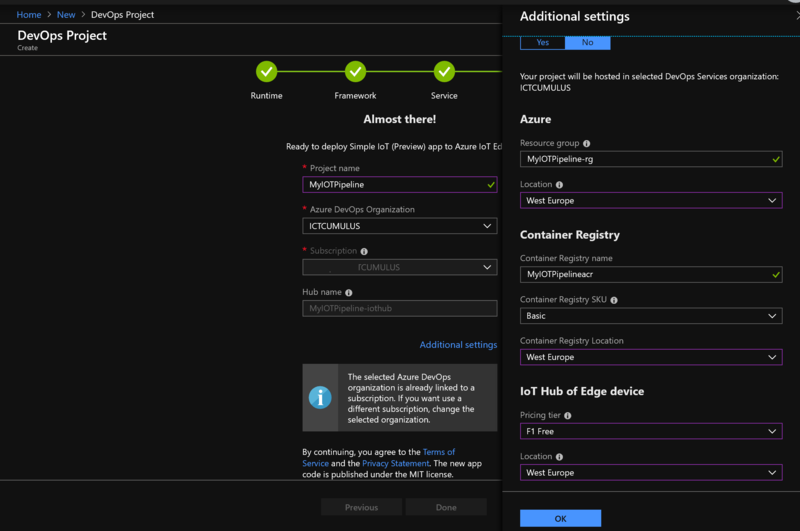 Your Continuous integration and continuous deployment to Azure IoT Edge is deployed and active. 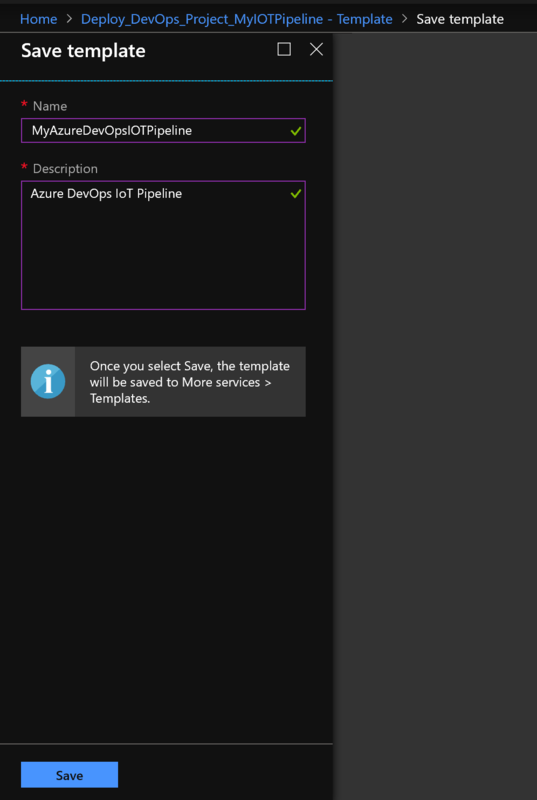 Now you have your Azure Pipeline in place to continuously update your IoT Device App. 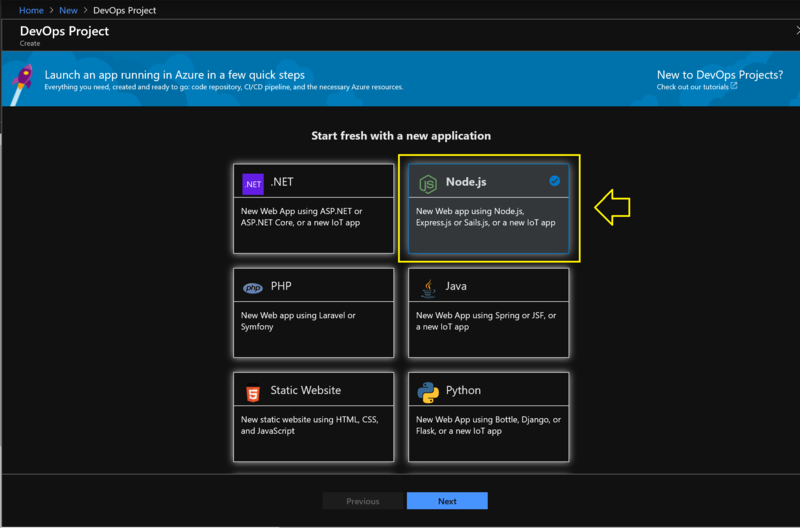 From here you can go to Azure DevOps Project Homepage. Via Agent phase you can see all the jobs of the deployment. 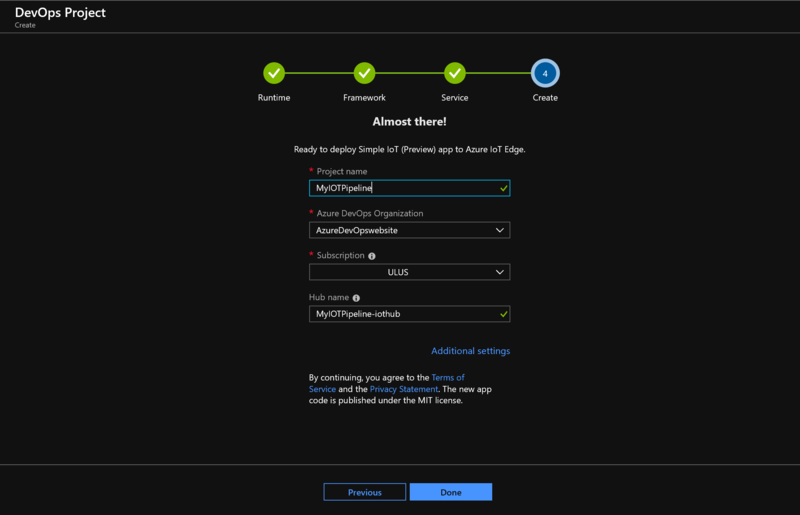 Azure DevOps Services includes free unlimited private Git repos, so Azure Repos is easy to try out. Git is the most commonly used version control system today and is quickly becoming the standard for version control. Git is a distributed version control system, meaning that your local copy of code is a complete version control repository. These fully functional local repositories make it easy to work offline or remotely. You commit your work locally, and then sync your copy of the repository with the copy on the server. Git in Azure Repos is standard Git. 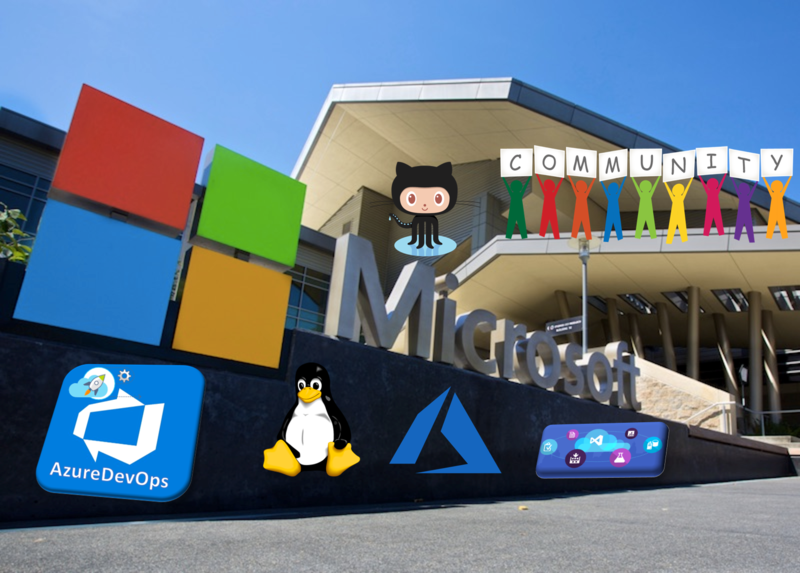 You can use the clients and tools of your choice, such as Git for Windows, Mac, partners’ Git services, and tools such as Visual Studio and Visual Studio Code. 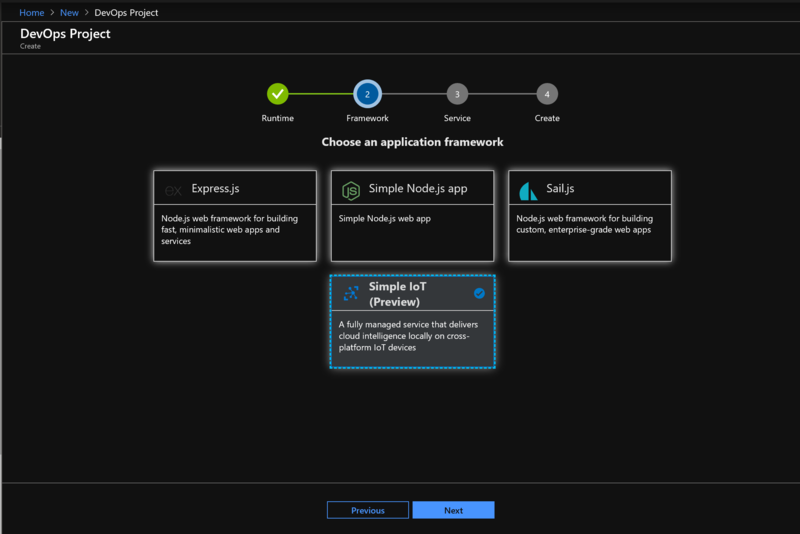 All the Azure Resources for the IoT Edge Pipeline with Azure DevOps. 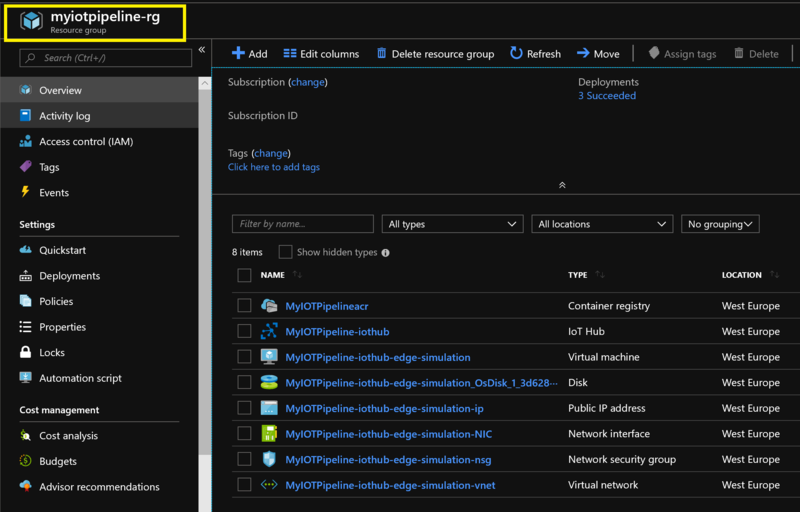 When you have your Azure DevOps Pipeline with IoT Edge devices running, you can monitor your pipeline with Analytics inside Azure DevOps. 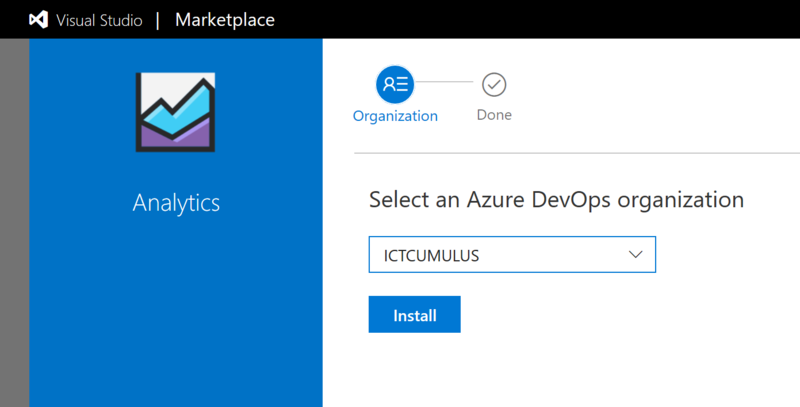 Select the right Azure DevOps Organization for your IoT Edge Pipeline. 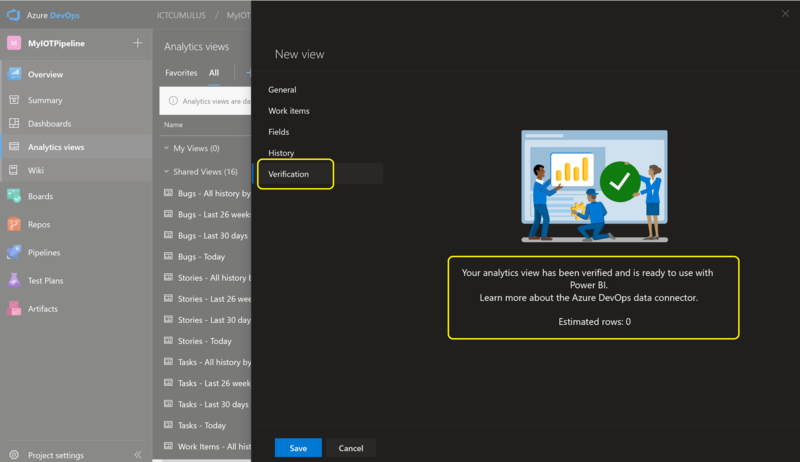 Analytics is now active, you can make automated test plans in Azure DevOps and see the results via Analytics. There are a lot of predefined Analytics Views for you shared. 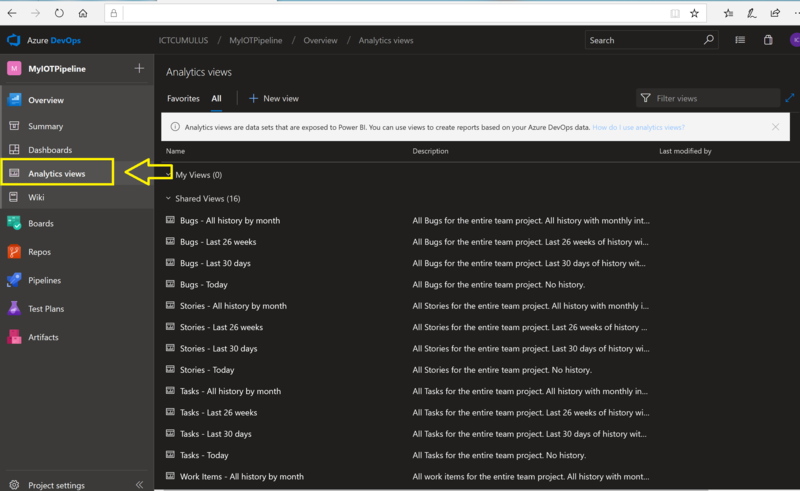 An Analytics view provides a simplified way to specify the filter criteria for a Power BI report based on the Analytics Service data store. 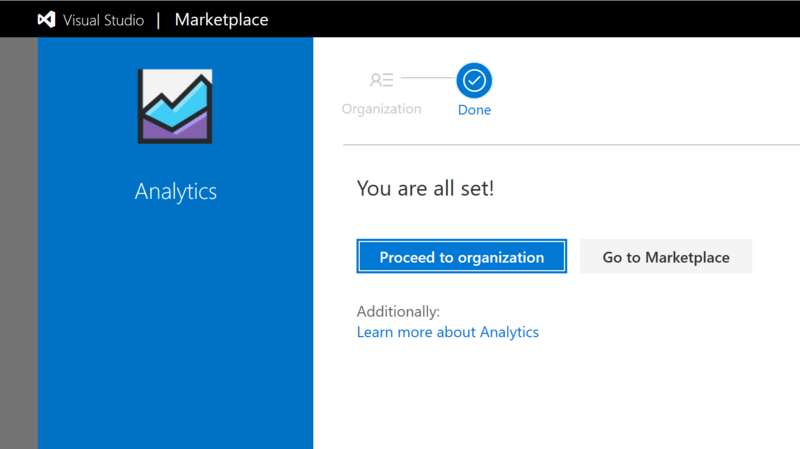 The Analytics Service provides the reporting platform for Azure DevOps. 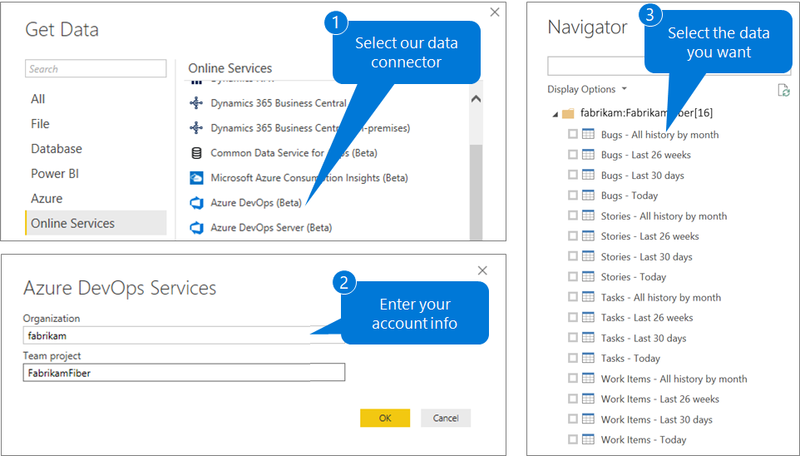 Easy to start with Powerbi and Azure DevOps Connector. Plan, execute, and track scripted tests with actionable defects and end-to-end traceability. 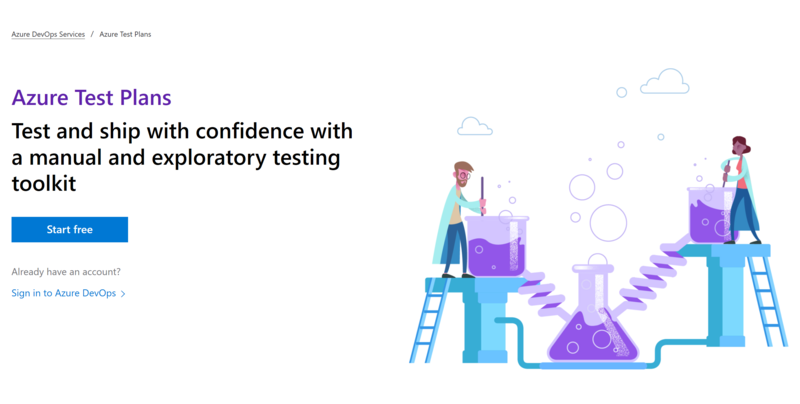 Assess quality throughout the development lifecycle by testing your desktop or web applications. 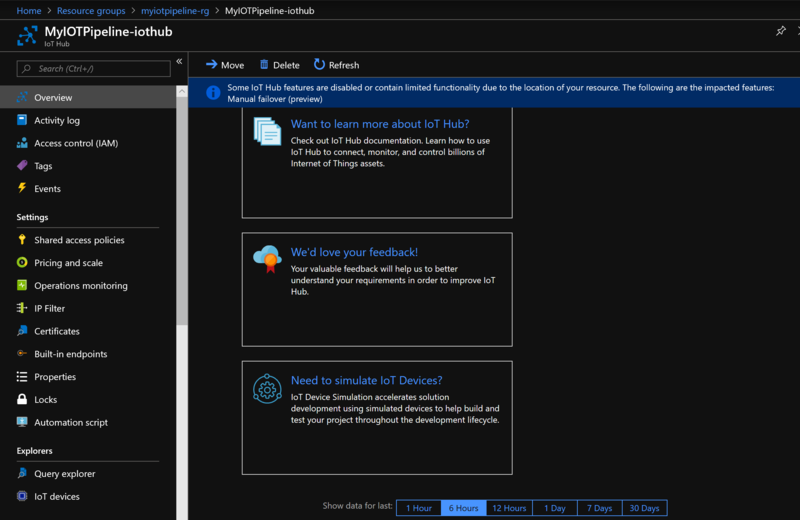 When you connect Microsoft Azure IoT Edge – HUB with your Internet of Things Devices and combine it with Microsoft Azure DevOps Team to develop your Azure IoT Pipeline, then you are in fully control of Continuous integration and continuous deployment to Azure IoT Edge. 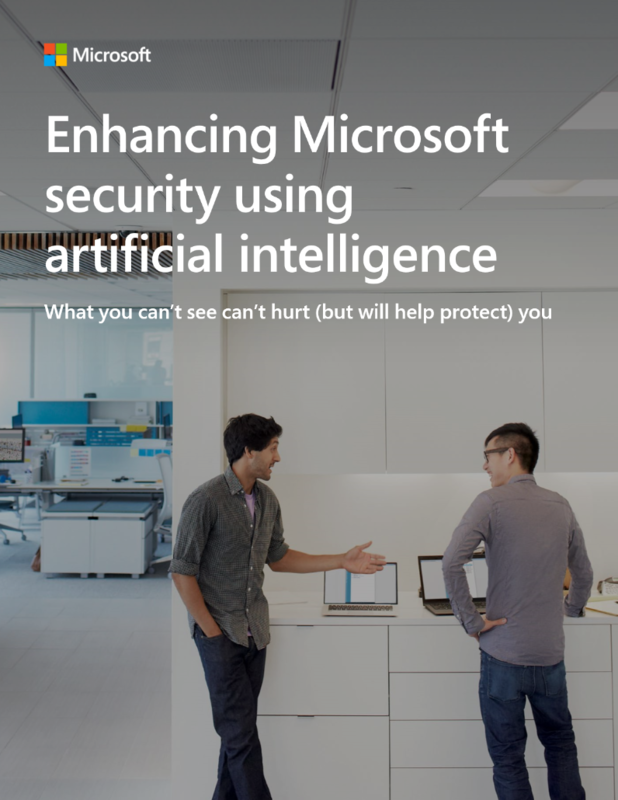 From here you can make your innovations and Intelligent Cloud & Edge with Artificial Intelligence and Machine Learning to your Devices. You will see that this combination will be Awesome for HealthCare, Smart Cities, Smart Buildings, Infrastructure, and the Tech Industry. 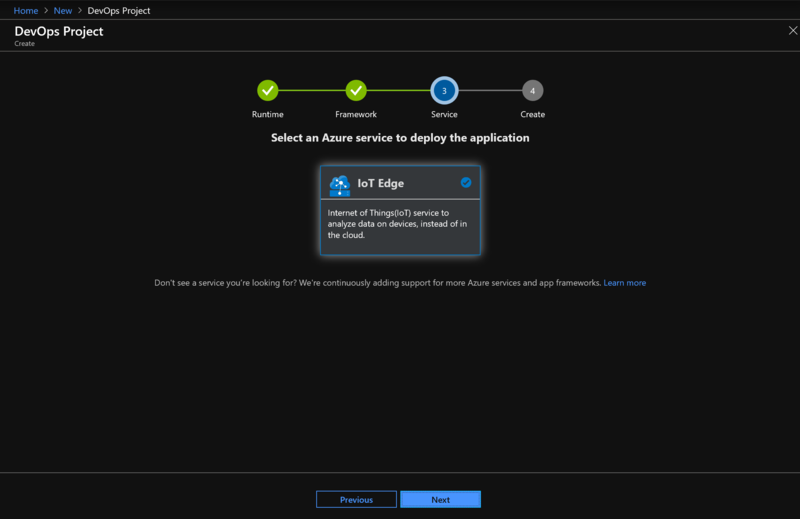 In this Microsoft article, you learn how to use the built-in Azure IoT Edge tasks for Azure Pipelines to create two pipelines for your IoT Edge solution. The first takes your code and builds the solution, pushing your module images to your container registry and creating a deployment manifest. The second deploys your modules to targeted IoT Edge devices. 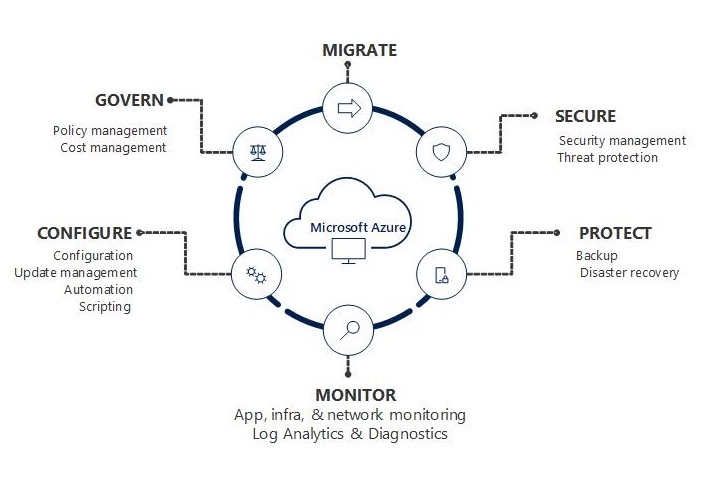 Categories: ARM, Azure, Azure AI, Azure Monitor, Azure Security, AzureDevOps, Containers, IoT, Linux, Microsoft Azure, VisualStudio, Windows Containers, WindowsAzure | Tags: AI, Azure, AzureDevOps, Cloud, Code, Developers, Devices, Edge, HybridCloud, Intelligence, IoT, MachineLearning, Management, MVPBUZZ, PipeLines, SmartBuildings, SmartCities | Permalink. 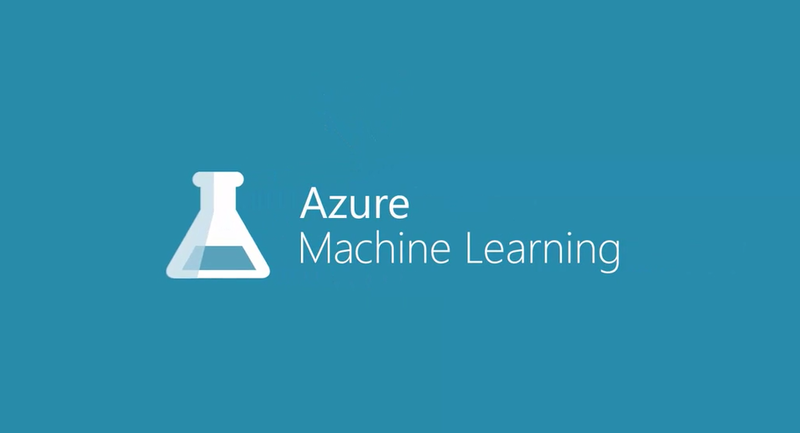 The Microsoft Azure Machine Learning cloud platform provides simplified yet powerful data management, transformation and machine learning tools. 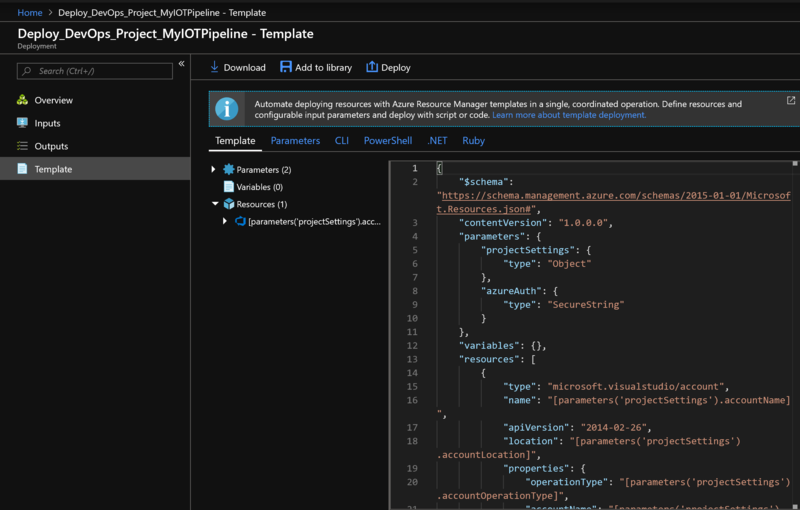 R language scripts integrate with built in Azure ML modules to extend the platform. Additionally, models running in Azure ML can be published as web services. 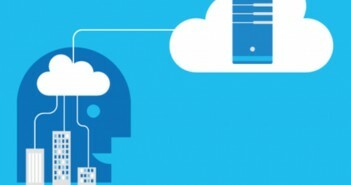 Data management with Azure ML. 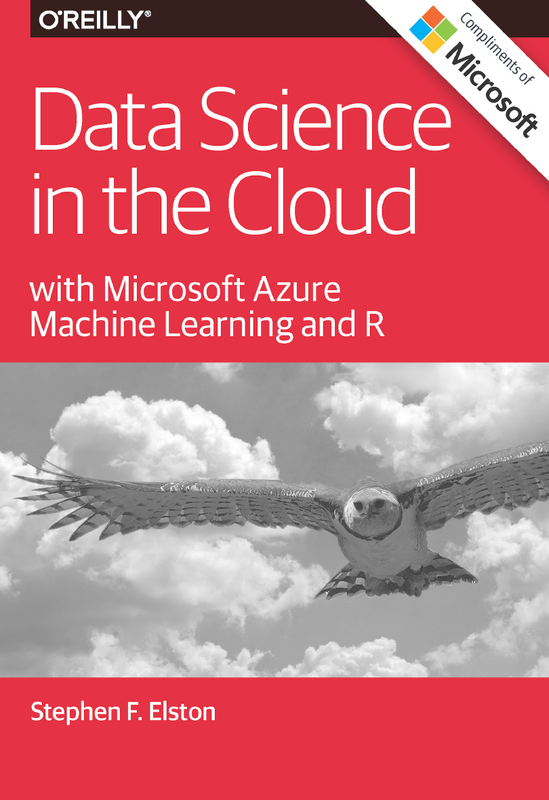 Data transformation with Azure ML and R.
Data I/O between Azure ML and the R Scripts. R graphics with Azure ML. 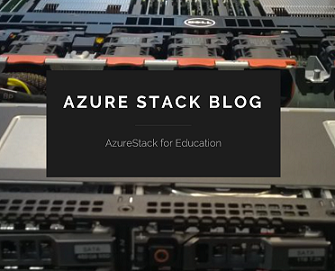 Building and evaluating machine learning models with Azure ML and R.
Publishing Azure ML models as a web service. 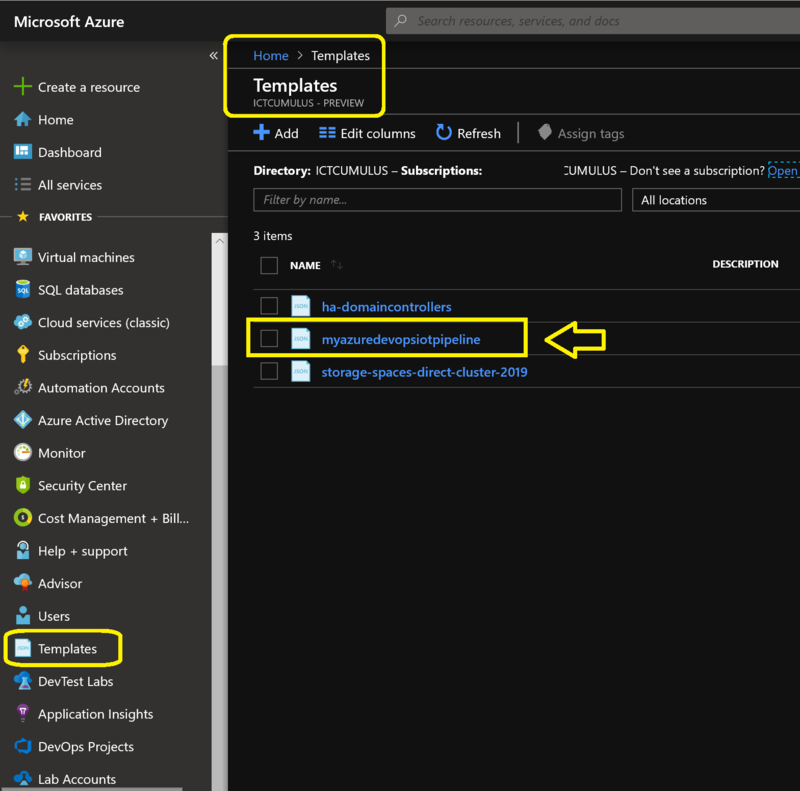 Categories: Azure, Microsoft Azure, WindowsAzure | Tags: Azure, Bigdata, Cloud, Education, HybridCloud, MachineLearning, MicrosoftAzure | Permalink.